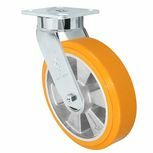 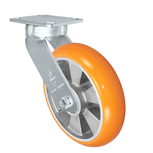 ​Light duty to extreme heavy duty casters. 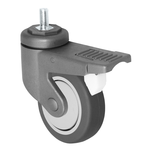 Durastar medium to heavy duty casters can withstand up to 1500 lbs. 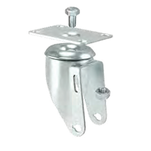 The casters applications are including conveyors, food service equipment, platform trucks, security carts, utility carts, lift tables and machineries. 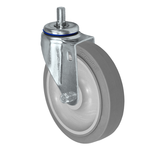 Durastar heavy duty casters can withstand up to 2500 lbs. 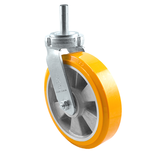 The casters applications are including conveyors, towlines, trolleys, industrial machineries, ​heavy duty carts, mobile tables, dumping carts, lift tables and automotive assembly. 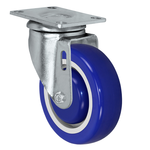 Durastar xtreme heavy duty casters can withstand up to 6000 lbs. 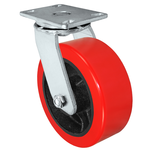 The casters applications are including automotive equipment , aircraft assembly, heavy duty carts, heavy duty dumpsters, towlines, industrial machineries and gantries.